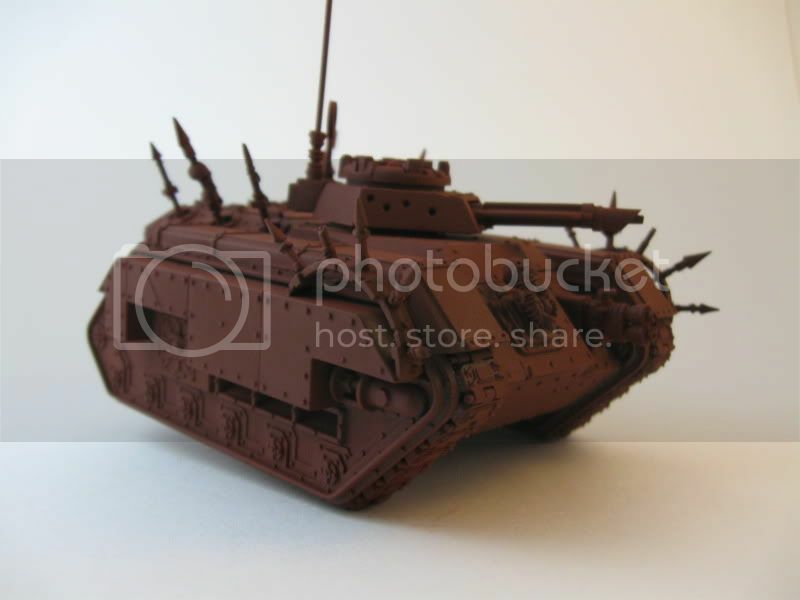 I was looking at all of these amazing Photos of models here on Dakka Dakka. I was wondering how the heck do you make them look so... clean and not Glared from photos. I am a bad photographer, so I looked around for some tips. I found out about the amazing Macro Box or Photo Light Box. A box that sheds ambient light on the desired Object to be photographed. Now I am not rich by no means, so I went and discovered a Cheap way to make this with as little as $5-$10. NOW ONTO THE TUTORIAL MWAHAHAHAHAH!!! ^this is our goal, not this clean, but the cheaper but still effective version hahaha. Here I make a 1-Inch measurement. I make them all the way around the side of the box, and I lay down 2 dots so I can line them up with the Straight edge. Now with the Straight Edge, I used a T-Square, you need to play connect the Dots. Drawing a Straight line on all four sides. With you Razor Knife, DO NOT CUT YOURSELF, the younger Dakka Dakka group should have an adult present to do the cutting and laugh at them when THEY cut themselves lol. you follow the lines you have just made and Cut out the Square. Here you will repeat the same step to the Parallel side of the box, and repeat the cutting process. Now with your nice new cut out squares you need to make the light that will flow into the box to be Ambient. in other word not directly on the object to be photographed I used tissue paper for mine, I am quite sure that you could use a more sturdy material like a plastic or paper. Try experimenting tell me what you think works best, I just used what I had laying around. Then you want to trim down your Tissue paper or what ever you decide to use. 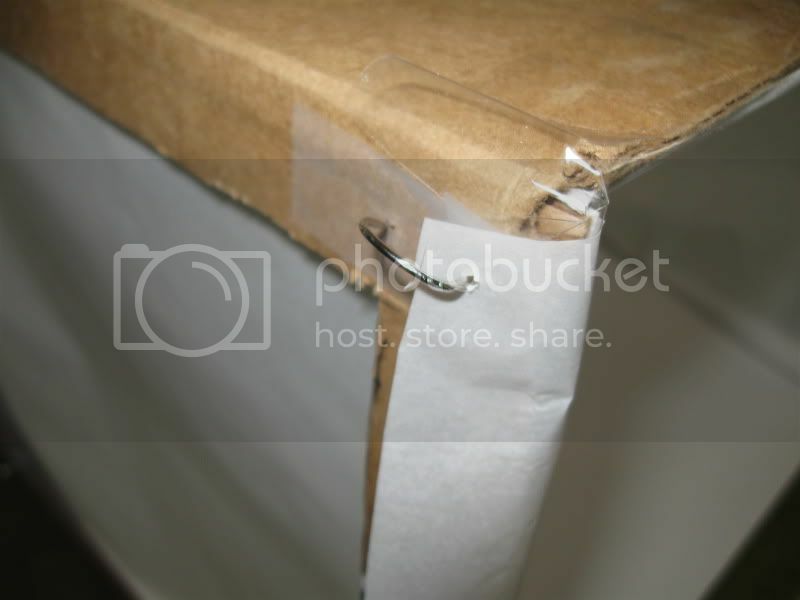 Then you will tape it down with the clear tape, becarful if you use tissue paper it rips easy... I know because I about killed my Neighbor when he was watching me and laughing. Now we will work on the inside of the Macro box, Here you will start working on the Poster Board Ceiling. I just set the box over top of the White, just the color I wanted to use you can use black or red or what ever, and drew around it with the Marker. Then I carefully cut it out with Scissors. then I fit it and trimmed down the sides for a snug yet, even fit. Then you will glue it in place. I used some simple stick glue, Elmer's, and some Super Glue, Krazy. I just grabbed some simple clothes line hangers and clamped down the corners and the fronts. This will stop peeling while it dries, like in the previous image. Rounding down to the final step. Here you will take your leftover Poster Board and fit it into the Macro. Keep in mind the goal with the floor here is to have it bend with NO crease. The point of the Macro Box, besides the Ambient Light, is to have a Seamless background so that you will take nothing away from the object being photographed. Again it can be any color you wish but it will give off a hue of what ever color the light is reflecting off of. The floor, has now been trimmed for a snug fit up into the the back of the ceiling. Note that I did not glue the floor in place, that way I can change it if I need a different color, or if I feel frisky, or if I just want easy storage. If you have a nice tight fit you should have no problem keeping it in place. Now you could use cloth for this, I had none on hand to try it but I do not see why you can't. Here is the finished view from the front and a side...3/4-ish view. Now I do not have any lights, but you can pick up some simple household lamps, or some Dollar Store cheap Desk Lamps. Go grab some "Daylight Simulation" Bulbs at about 40 to 60 Watts. Plug them in and aim them at the Tissue paper. This will remove the need for a camera Flash. Here is what it looks like when you have it in use. As you can see I do not have the lamps because, well one I am doing this on my front porch and second I, as state above, do not have the lamps or the Bulbs yet. However, I will post images of them later in this Tutorial and how to set them up. SOON TO COME, "LAMP SET UP AND PHOTOGRAPHY"
Good Job. Thanks for the Tut. I used parchment paper for mine - found at your local grocer's in the aisle with aluminum foil and cling wrap. Unfortunately, it's incredibly non-stick and tape only holds it in place for a limited time. I was told that I should use it as a screen on the slight source itself since the parchment is coated in silicone it's heat resistant. 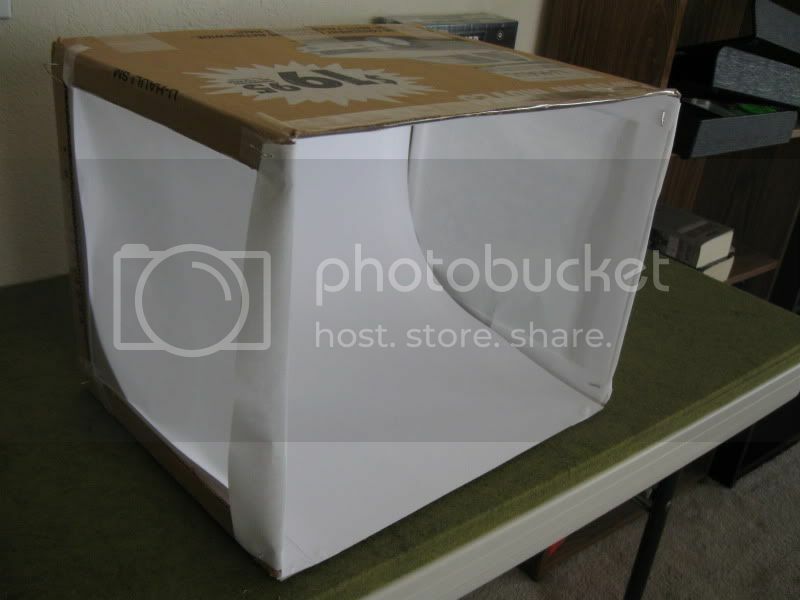 These days, I use sheets of printer paper without the box frame, which works well enough. Next time, you might want to line the inside of the box with the tissue. Other than that, it looks great! I've been looking for a cheapo way to make one of these, thanks for taking the time to put this together. @BlackDracoSLC - you're welcome man. Thanks for taking the time to look at this, I hope it turns out, you should post any images of your Light box when you make it. 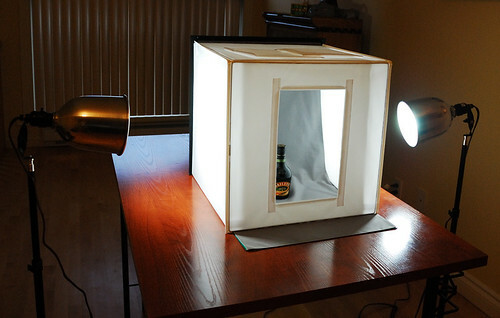 A very nice and simple way of making a light box, as compared to the "easy fix! go buy a tripod, adjust your camera settings" bull that anyone more familiar with a brush than camera won't undertsand. Bascilica wrote: A very nice and simple way of making a light box, as compared to the "easy fix! go buy a tripod, adjust your camera settings" bull that anyone more familiar with a brush than camera won't undertsand. HAHA that is so true, that is why I made it. This only cost me like 5 Bucks for the Postar Board and The Tissue paper. But you could pust like 15 dollars into it, still pretty cheap, and make it out of Black Foam Core and Use Parchment Paper from the baking Isle in your local Grocery store or super mart, in place of the Tissue paper. If you want to make the tissue paper more robust, you can layer some clear tape over it. SilverMK2 wrote: If you want to make the tissue paper more robust, you can layer some clear tape over it. Made my own box recently using this tut. Here's a shot. I reinforced the cardboard "struts" in front with another layer of cardboard. I used parchment paper instead of tissue paper since I had that on hand, and I used bent pins to hold it in place since tape didn't stick to it very well. Here's a shot of a Chimera in it. I think I'll need to pic up a light for the front, maybe some small clip on LED lights in the upper corners of the box. Tracing paper can work as well as a good light diffuser, or mylar if you don't mind spending a few bucks. @BlackDracoSLC - I like the reinforcing idea, for the front section of the box, it is pretty flimsy after you cut out the Light Squares. You could try using some glue instead of pins or maybe good ol' Duct Tape/ I like the in-use photo too, did you have any light sources working when you took the photo, it turned out pretty nice. Final question, what did you think of the Light Box? Awesome tutorial. Once I finish my move I will have to make one of these. I tried using tape plus glue but parchment paper does not like to stick, hence the pins. I did have my work lamp plus my roommates work lamp on either side of the box. They didn't have daylight simulation bulbs in though. And I'm glad I made it! Just need to get some of those bulbs I think.